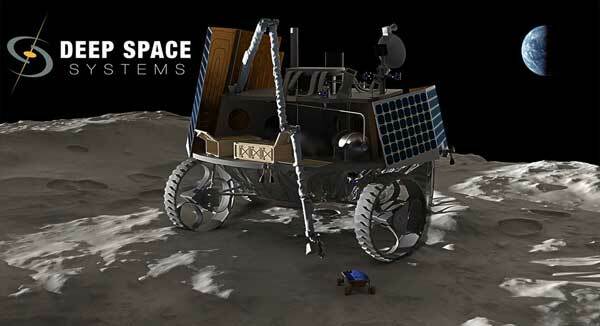 Picture Caption (via Facebook): Concept art of the new lunar rover proposed by Deep Space Systems Inc., one of nine vendors awarded a contract on November 29 as part of NASA’s Commercial Lunar Payload Services (CLPS) Program. Well done, Michelle Caillouet Bailey, Stephen Bailey, and the whole Deep Space Team! Editor’s Note: Deep Space Systems is partnered with Intuitive Machines, which is another of the nine companies chosen from the CLPS program.